Disclaimer: This article for information purposes only. 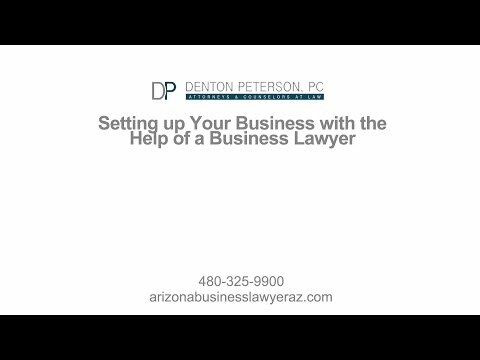 You should contact a lawyer about how the specifics of your situation apply to the laws of your state. Naming a business is one of the most important and fun parts of starting a business. This is the name that will be printed on your business cards, sewn into the uniforms, and that will show on your letterhead and contractual documents. If successful, this name will become synonymous with the work you and your team perform. Whether you are naming a new business or rebranding your existing business, it is important to pick a name that will not infringe on another company’s trademark while at the same time creating the desired impression and a protection for your new brand’s name. Preventing others from abusing the goodwill or brand loyalty you create is the most important right a trademark will offer to you. The first step in securing this right is selecting the best possible name. Fanciful marks – Fanciful marks are completely made up, which means they had no meaning before they were used as trademarks. This is considered to be the strongest type of trademark because it only refers to the source of goods and services bearing the mark. Examples include Exxon, Xerox, and Kodak. Arbitrary marks – These consist of common English words used in contexts where their normal meaning has no relationship to the goods and services to which they are being applied. One example is Apple, which would be unprotectable as a trademark for fruit. On the other hand, Apple in association with computers is a very strong trademark because apples have nothing to do with computers. Suggestive marks – Suggestive marks suggest some attribute or benefit of the product or service with which they are used, but they stop short of merely describing the attributes of the product or service. An example of a suggestive mark is AIRBUS for airplanes. Descriptive Marks – If you decide to use a mark that merely describes your product, your rights to the exclusive use of the mark will be very limited. For example, COLD AND CREAMY as a trademark for ice cream is unlikely to be granted registration, as the phrase merely describes an attribute of the product. Words that merely describe an attribute, feature, end result, or use of the product, or the persons employed in the production of the product, generally are not granted trademark protection. Generic Terms – A generic term is a word or phrase that is or has become the common term associated with a particular category of goods or services to which it relates, thereby ceasing to function as an indicator of origin. For example, “clock” is a generic term for timepieces. Generic designations are not registrable or protectable. Additionally, in many jurisdictions, local trademark laws prohibit the registration of marks that are merely the name of an individual, a last name or the geographic location where the goods are made or from which the services originate. Federal trademark law is complicated and may be a little counter-intuitive at first. The takeaway is that you may want to choose a fanciful or arbitrary brand name, instead of a descriptive one, in order to ensure robust trademark protection from the start. It is a good idea to come up with a few alternate names in case the trademark search finds that one or several of your suggested names are already in use or too similar to an existing mark to have much chance to be registered. 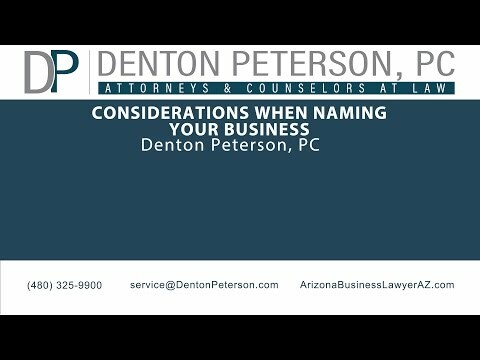 It is important to determine if anyone else has already registered or begun using the name you have selected for your business or a similar name. Failing to determine whether your chosen name is available for your use can be a costly mistake. You may be forced to change the name of the business and all signage. You may even be liable for money damages. It is better to know about any other uses of the name before you make any investment in your new mark. Because of these potential serious consequences, it is important to perform a thorough search of registered trademarks at a state and federal level as well as a search of unregistered trademarks. You will need to perform a thorough search of the US Patent and Trademark Office’s (“USPTO”) database and then perform searches with the Secretary of State’s or corporation commission’s state offices which typically compile lists of information regarding names of corporations, limited liability companies and other business entities. Beyond this initial search, it is important to lower risk of accidental infringement through performing a search which covers both trademark register searches and references that may be found through Internet searches, industry databases, business name registries, and other relevant compilations. A search that is too narrow and does not investigate multiple forms of spellings or symbols may miss prior uses of a name that is too close to your chosen name. This series of searches will give you the most comprehensive range of information and will give you a good sense of whether the mark is available for use and registration and the possible obstacles to its registration. Once performed, this kind of search enables you to make an informed decision about your investment in a name and a mark. After this preliminary work and once you have settled on the name with the strongest likelihood of success, it may be time to pursue a federal trademark registration. Generally, if you are the first person to use a trademark, you acquire rights to the mark as soon as you start using it to sell goods or services. Federal registration is not required, but you may want to proceed with it if you consider the future of your business. Without registering your trademark with your state or the USPTO, your rights only extend as far as the geographic scope of your business’ operations at any given time. If your business is a success and someday goes national, investing in a federal trademark can save you a lot of trouble down the line. Additionally, a registered trademark is an intangible asset that is valuable for your company. If you ever sell the company, having a registered trademark may increase the sale price, quite significantly, in fact, if the trademark has a broad recognition. In summary, trademark registration is a valuable tool for many businesses. It heightens confidence that a registrant will be able to continue using their business name without competitors attempting to steal goodwill, or falsely claim a superior right to use a mark. Accordingly, business owners should carefully evaluate the process of filing trademark applications. By taking the approach of brainstorming several fanciful or arbitrary marks, conducting a thorough search for their availability, selecting one and having it federally registered, you will reduce the risk of possible infringement liability. You will also put your company in the best position to develop a valuable asset – a federally registered trademark. 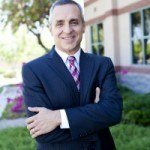 As discussed in this article, the name selection and availability process and other considerations can be complex and it is very advisable that you obtain the assistance of an experienced Arizona business attorney to guide you through the registration process of your trademark.